Jeremy Jordan, Kara Lindsay, Ben Fankhauser and Andrew Keenan-Bolger star in the Tony Award-winning musical "Newsies," from the Pantages Theatre in Hollywood. 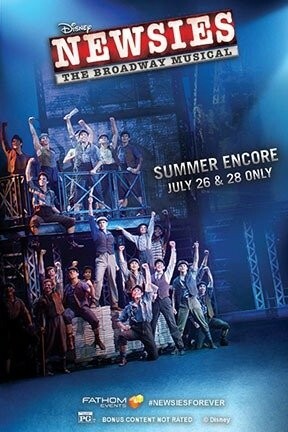 Disney's Newsies: The Broadway Musical! -- Summer Encore is not showing in any theaters in the area.